Founded in 2000, Puli is a global fashion house located in Montreal,Canada. Over the years, Puli has grown from a small supplier to an independent brand specializing in fashion-forward ladies'clothing and accessories. We work with big brand factories directly, every item is quality guaranteed. Your satisfaction and feedback will be appreciate. If you have any questions about our products or service, please feel free to contact us and we will get back within 24h. Dimension: 59"Lx 23"W; One size fits most. Super soft, cozy and multi-functional，equipped with 6 buttons to wear it as a scarf, poncho, or a creation of your own. It is an effortless addition to any outfit, perfect for any season, event or occasion. 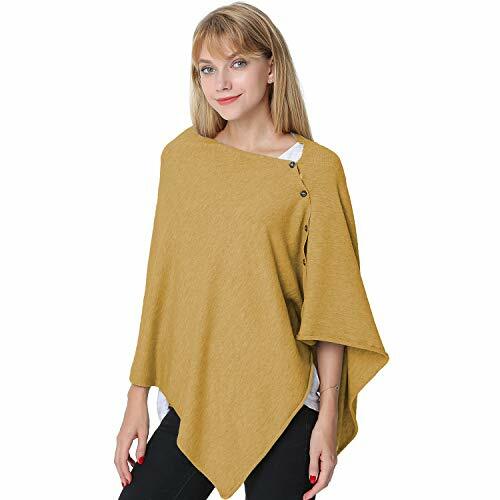 Can be used year-round, day and night, while traveling and at home, formal events and casual outings, as a wrap, shawl or scarf, also can keep warm in air conditioning room. Simply an amazingly versatile, must-have item. If you have any questions about this product by Puli, contact us by completing and submitting the form below. If you are looking for a specif part number, please include it with your message.